Simple Home Improvements – Colonial Brick & Stone Inc.
Have you ever wondered what you can do to improve the appearance of your home without breaking the bank? A lot of people look at Natural Stone as being out of their reach, but believe it or not, there are numerous ways of using stone without getting into extreme costs. Natural Stone is also great for those who enjoy DIY projects. With a bit of time and willingness to learn, you can do your projects yourself and save a lot of labor expense. For a quick guide to Thin Veneer installation, click HERE. Wainscoting is a simple skirt around the bottom of a wall. Whether it’s used the entire way around a building or simply across the front, it allows you to enjoy the appeal of natural stone without refacing your entire home. 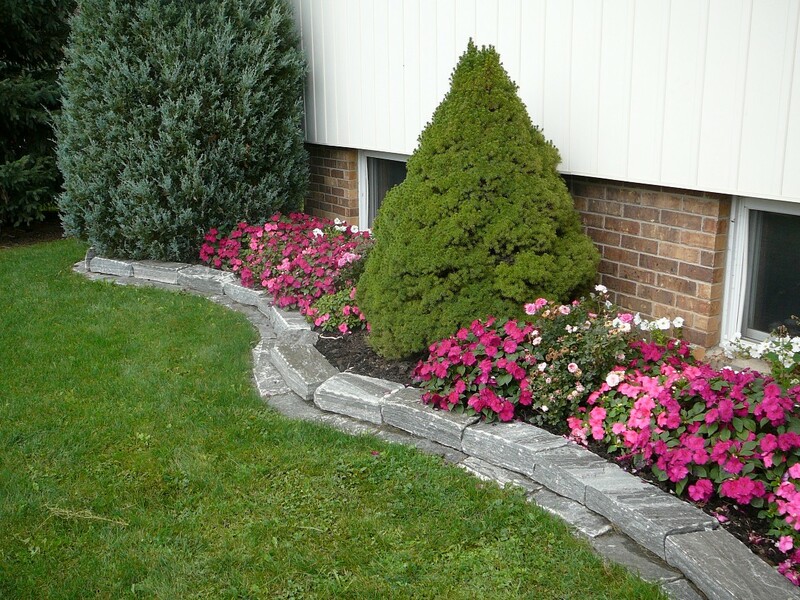 Flowerbed edging is one of the easiest ways to add a bit of life to your property. 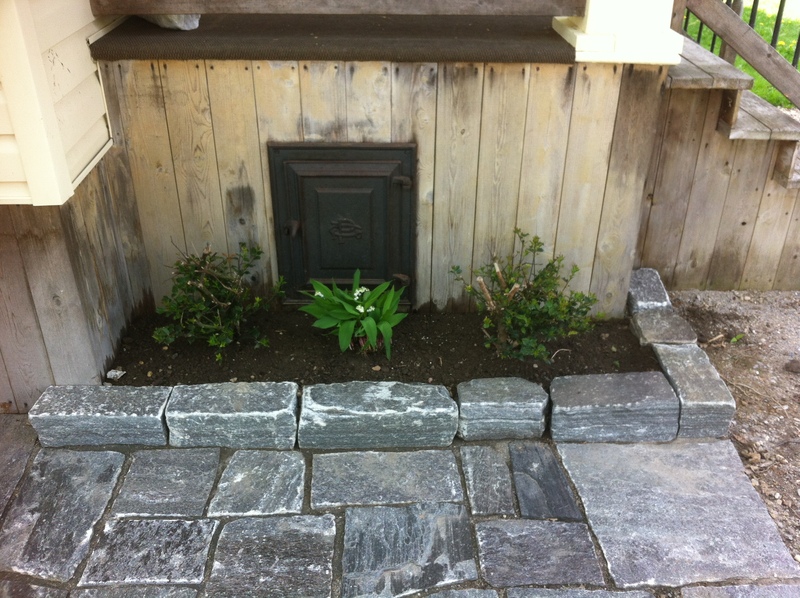 There are many different products that can be used to create a beautiful border. 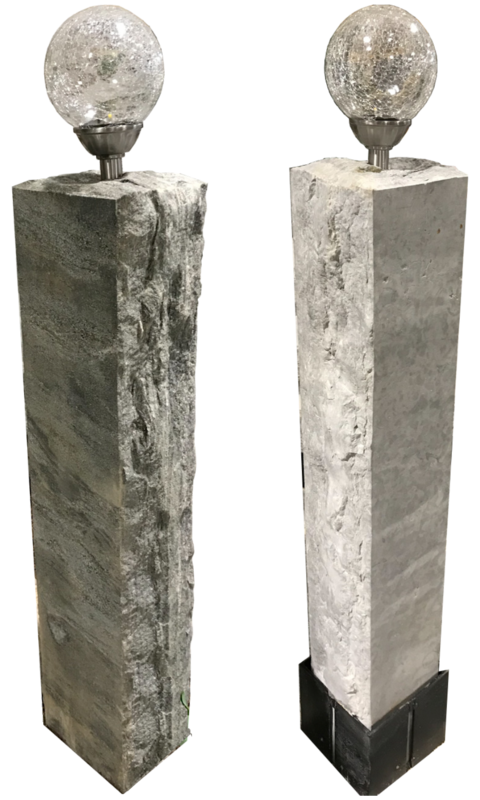 Natural Stone Light Posts are a unique way of adding light and style to any property. With Solar Lights mounted to them, there is no need for electrical connections. 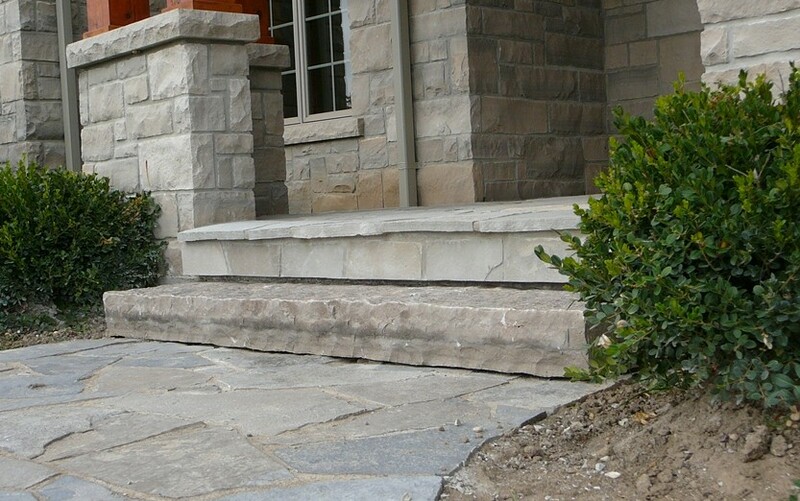 Natural Stone Steps are a quick and effective way of replacing broken or rotting steps. Their durability is far beyond any manufactured product and will last for years to come. 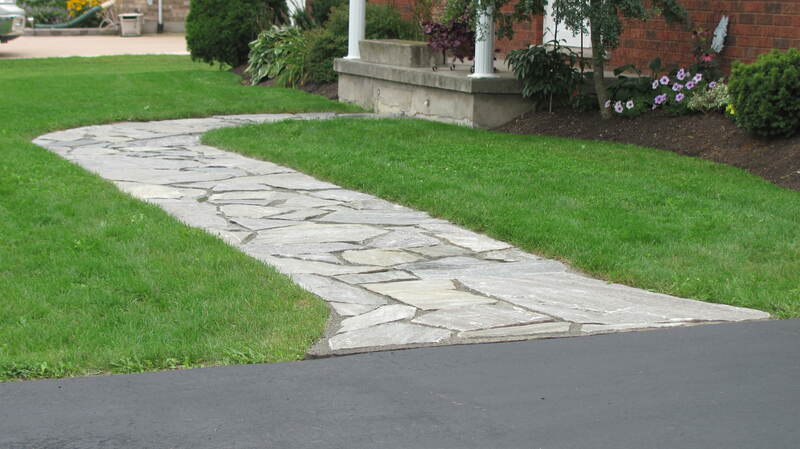 Replace your cracked and broken concrete sidewalk with a flagstone walkway. Flagstone can also be used to create or redo patios and other backyard spaces. 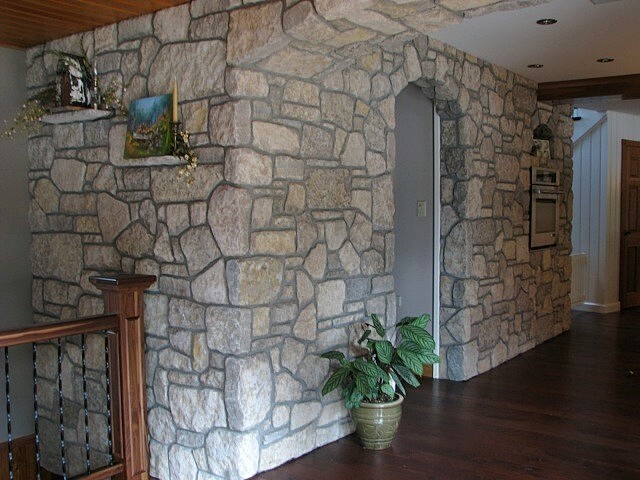 Few things speak of style and creativity like interior stone walls. 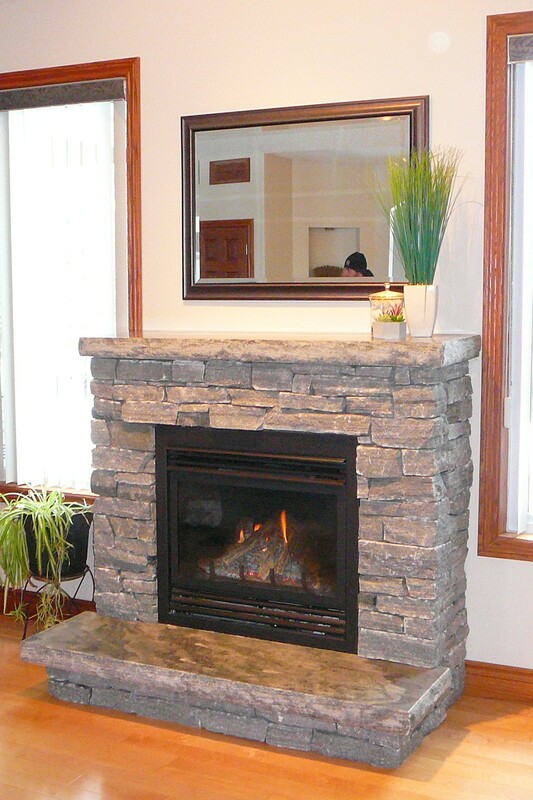 Using Natural Stone Thin Veneer to accent an interior wall is a simple yet unique way of bringing your home to life.